My girls are progressing on through Girl Scouting and are finishing their first year as Juniors. We have camped a few times, and girls are always encouraged to trade SWAPS with other Scouts. What are SWAPS? When I was a girl we called it a potlatch. It is the same basic thing – a doo dad you trade with another scout. It can be simple or elaborate. 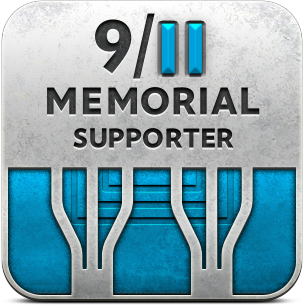 It can represent your troop or the event you are attending. SWAPS need not be difficult to make and they do not need to last forever. Some girls collect their SWAPS on a jacket, hat or banner. There are museums with tremendous collections of SWAPS that include items from all over the world. It is a little reminder of the fun event they attended, in addition to any patches or other keepsakes, and they are completely optional. The younger your girls are, the easier to make the SWAPS should be. For a recent trip, the girls could not decide on one SWAP idea, so we gave them the option to make up to three different ones. Can I just recommend for all leaders out there considering this, it can create drama so think carefully about your group before making this an option for your troop. If Suzie wants to make 10 rainbow clouds but there’s only enough supplies to make 5 per girl, there may need to be some negotiation and conflict management happening. There is a thriving industry out there of Etsy shops and the like selling kits for making SWAPS. You can do what works for your troop. We just decided to brainstorm and create our own – parents donated the materials. What have we made, you ask? Rainbow Clouds, Troop Crests, S’mores and Unicorns. Following are some quick How-to’s on these. Click any picture for a larger image. I’m not an artist, but I was able to free hand all of these shapes because I like easy SWAPS. Each item should be around 2″ diameter or smaller when finished, for ease of portability and collection. All supplies were purchased at a chain craft store. Patterns to trace were made out of a manila folder. These were cute and very easy to make, except for the cutting out part. I ended up cutting out all the clouds and rainbow snips. Depending on your Scouts’ ages, they may be able to do that part. Trace the pattern onto white felt or fun foam. You can get 20 on an 8.5×11 sheet. Cut the ribbon into 1″ snips. I used little cups to catch them so they didn’t scatter everywhere. Use craft glue to attach the rainbow ribbon snips to the back of the cloud. Allow to dry, turn over. 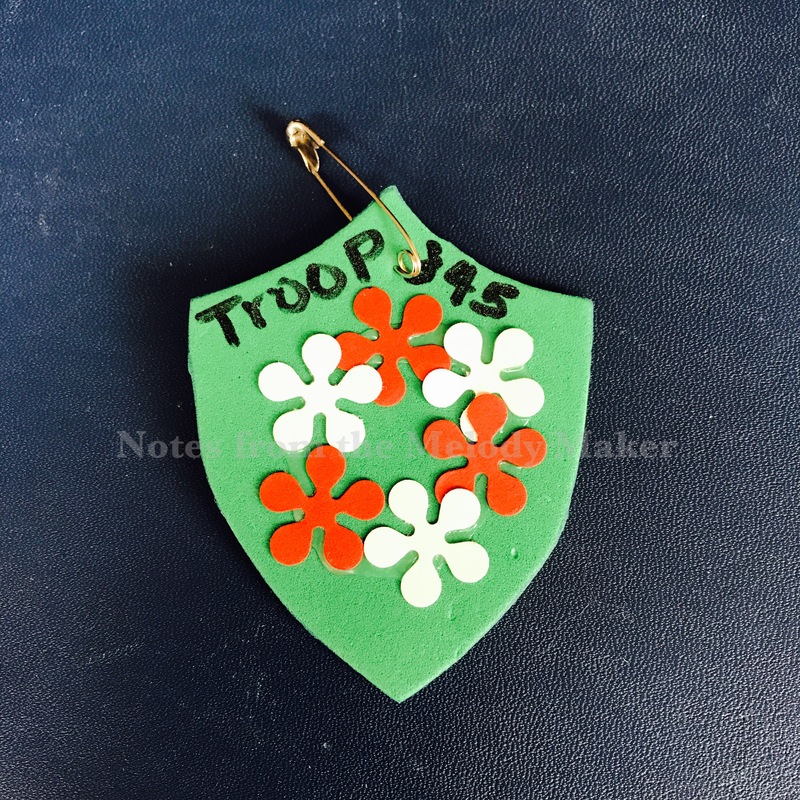 Then using a Sharpie marker or similar, write in your troop number and/or whatever else you want. 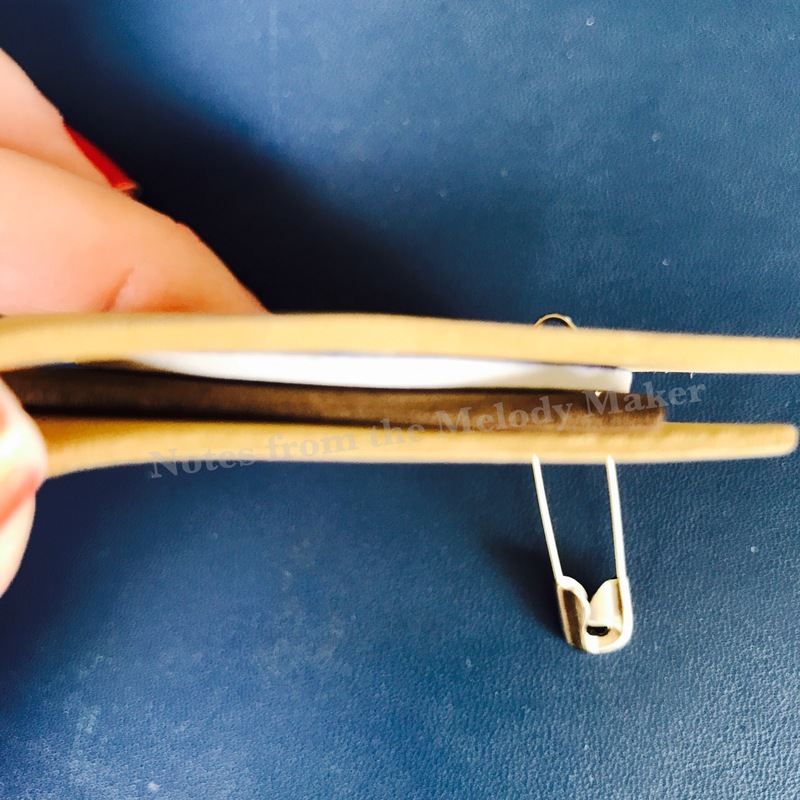 Attach safety pin. Total assembly time is about 10 minutes including glue drying time. PS these would be cute for a bridging activity! These took about the same amount of time to assemble but much longer to prep. This particular crest is the Hawaiian Lei. You will need a paper punch to make the flowers, they are about $5 at your local craft store. Again, I did all the cutting and punching but you can adapt to your troop. Trace the crest shape onto the fun foam. You can get more than 20 per 8.5×11 sheet if you space them well. Punch the flowers from the red and yellow papers. I punched them into a little cup to keep them from scattering. Also, you can space the punches so as to maximize the number of flowers you get per sheet of paper. I worked it out so I could get 17 flowers on the 11″ side of the paper and was able to make 7 rows. Using craft glue, glue alternating flowers in a circle. You will need 3 of each color. 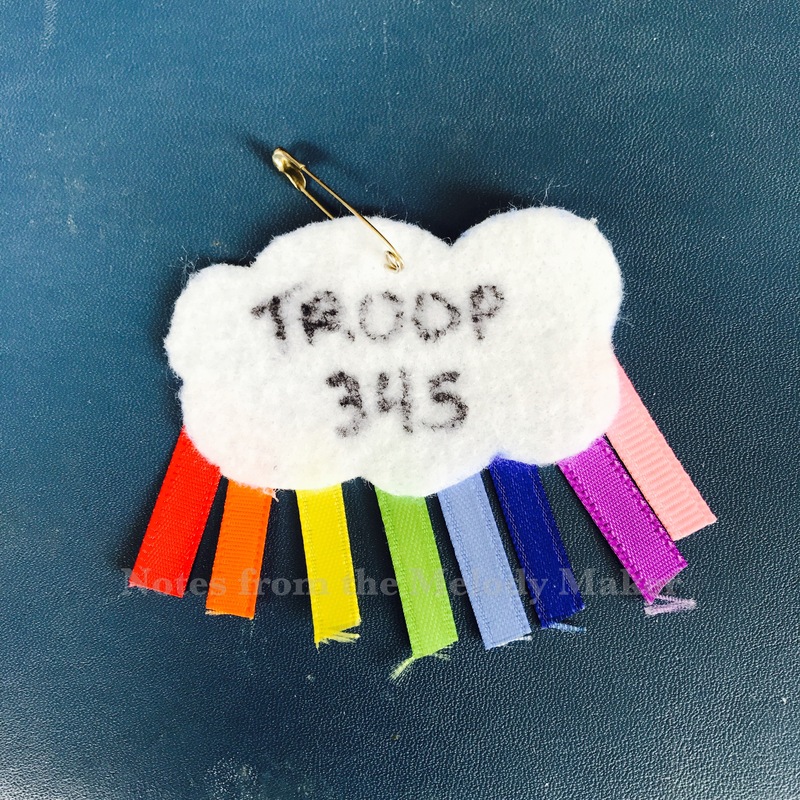 Once dry, write your troop number above the lei, and add the safety pin. Maximum assembly time was 10 minutes, but really closer to 5 for the faster girls. These are a popular one and super easy! Plus the cutting is mostly in straight lines so might be easier for younger girls. Cut out the light brown squares as 2″ squares. Cut out the dark brown squares as 1.5″ squares. Cut out the white circles as 1.5″ or so circles. Glue two light brown squares, one dark brown and one white circle. Use a marker to draw on the little dots you see on graham crackers. 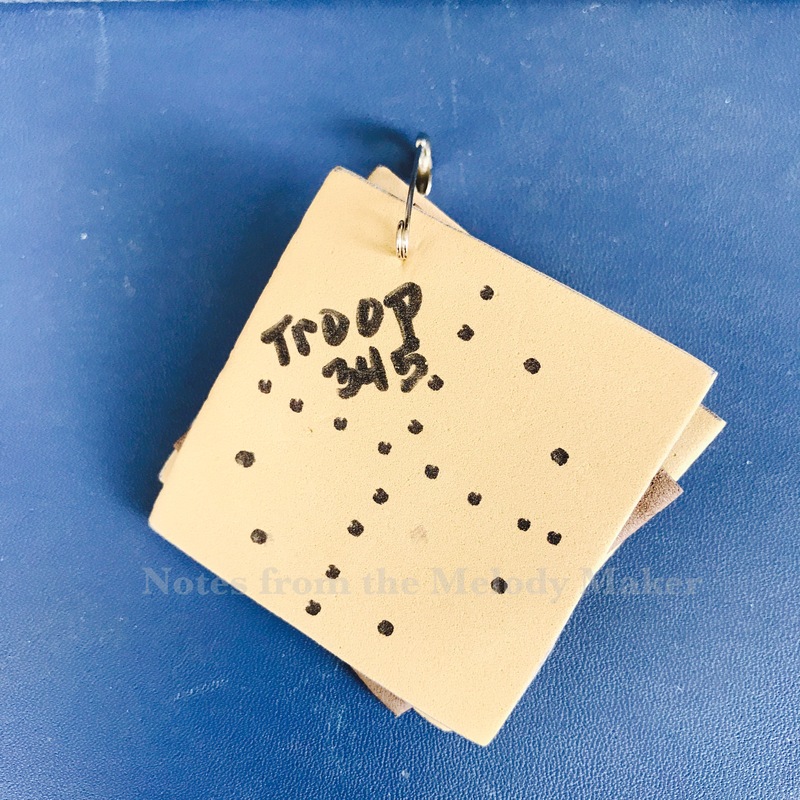 On one side, write on your troop number and whatever else. Add the safety pin. We found that glue on fun foam took much longer to dry than on felt, so use it sparingly. Did you notice that the Rainbow Clouds and Unicorns have almost the same supply list? Haha that’s because I had enough left from the Rainbow Clouds to make another SWAP! Use resources wisely, right? 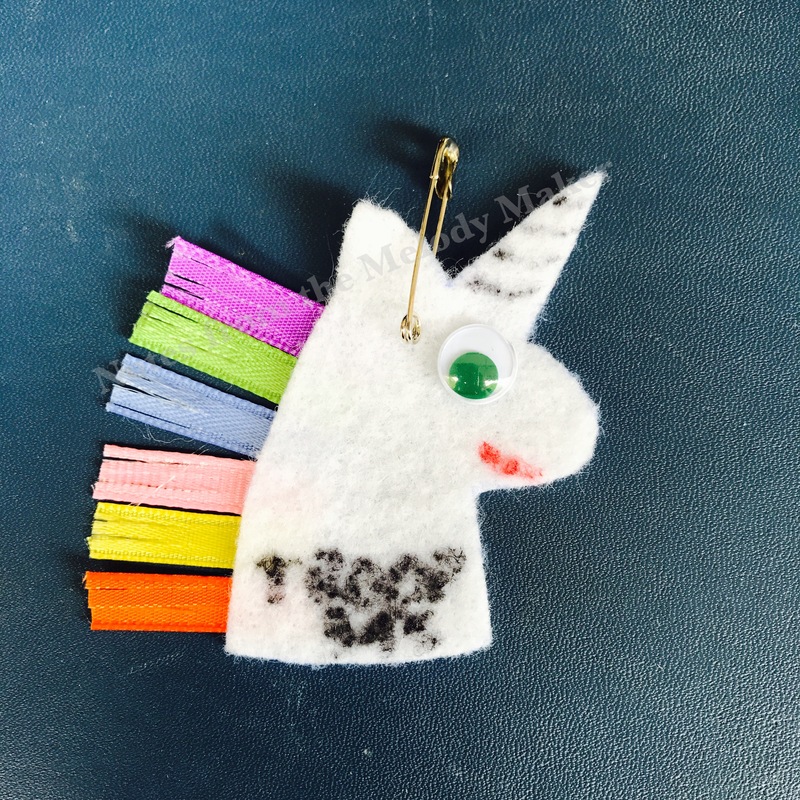 Trace the unicorn shape onto the felt. You can get 20 on a sheet of 8.5×11 when they are spaced tightly. These ones are a pain to cut so if YOU are doing the cutting, give yourself a few days to make a lot. I ended up procrastinating and trying to cut out 100 before the meeting and the hand cramp was wicked. Glue the ribbon snips on one side of the unicorn shape and let dry. Turn over, then draw on the “twist” of the horn and a mouth. Our girls also filled in the ears with pink, some added bows, smiling mouths, etc. Write the troop name at the bottom of the neck. Next, glue on the eye. My coleader found a ton of crystals at a garage sale, but you can use pretty much anything cute here and don’t have to break the bank. Add the safety pin and you are done. Total assembly time was longer, maybe 15 minutes because of the ribbons being on the back of the shape and needing the glue to dry before turning over for the rest of the face.